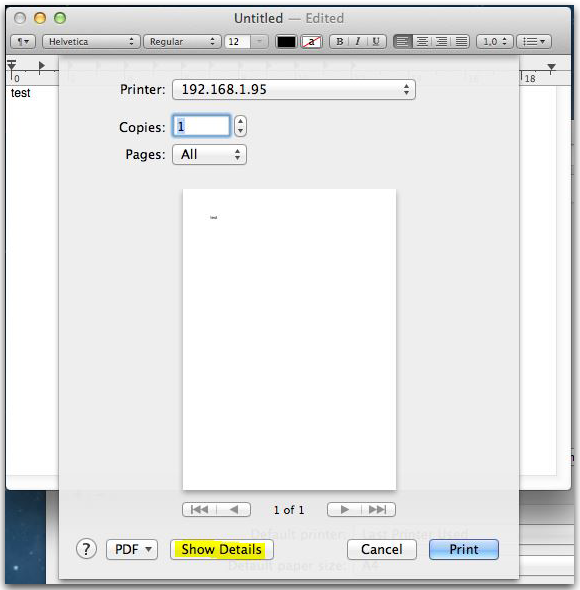 This method of printing will allow the Mac user to print directly from their workstation to the printer. Their job will still be recorded in the Print Director system as normal, but it won’t be placed into the ‘Follow Me’ system, i.e. the user will need to collect their job at the printer to which they sent it. 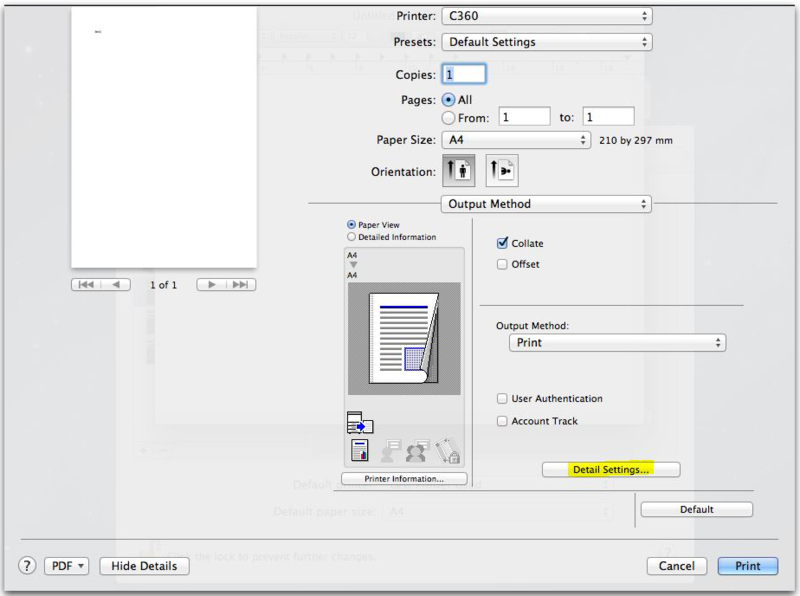 If the user has a card and the printers make use of card swipe authentication, enter the user’s card number into the Card No text box. Now that we have a PIN number for the user, we can set up the printer on their Mac. Ensure the correct Konica Minolta driver is installed. Download from www.konicaminolta.com.au (NOTE: Generic Postscript driver will not work). Add the printer via System Prefs the normal way. NB: When the Options & Supplies screen is displayed, ensure that the Hard Disk option is ticked. 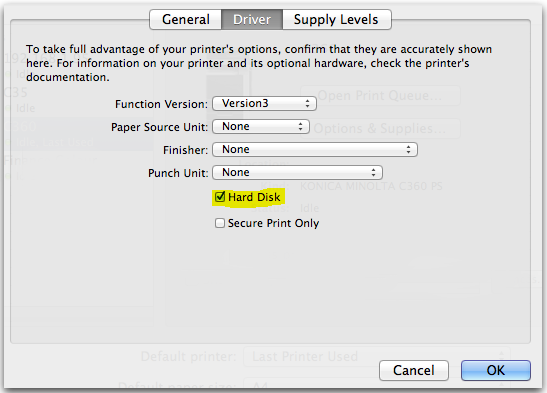 Once installed, open something to print and press Apple+P (or File > Print). 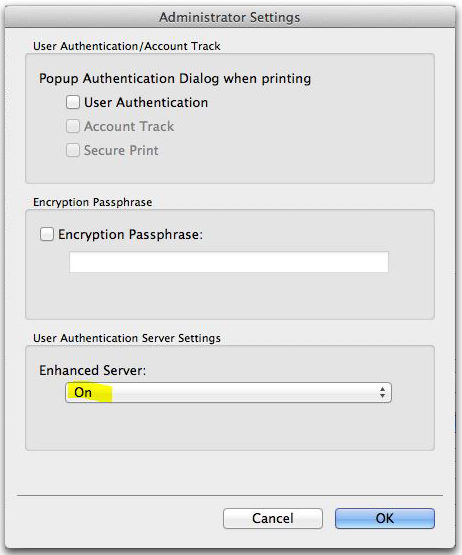 Do this from MS Word or Safari (TextEdit often has the required settings greyed out). If the following screen is displayed, click Show Details. When the following screen is displayed, change the drop-down to Output Method. Now click Administrator Settings and then click the Settings… button. 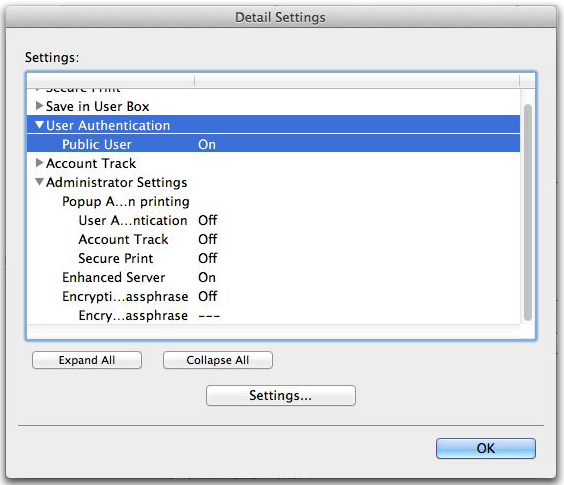 If all the Administrator settings are greyed out, close the application and use a different application to print (e.g. Safari or Word or Excel). In the Administrator Settings window, change the Enhanced Server drop down to On. 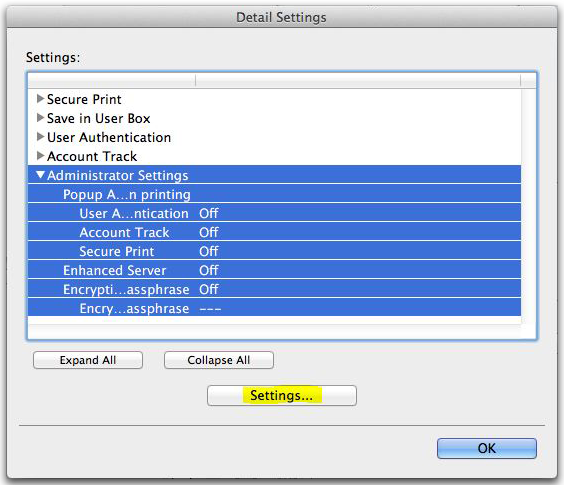 Click OK.
Now click on User Authentication then click the Settings… button again. 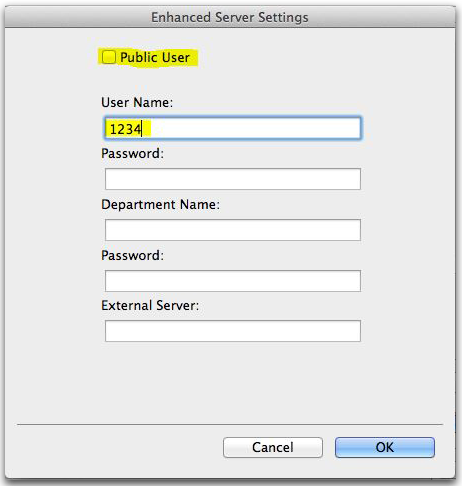 In the Enhanced Server Settings window, untick the Public User checkbox. Delete what is currently in the User Name textbox and enter the User’s Controller User ID (PIN number). 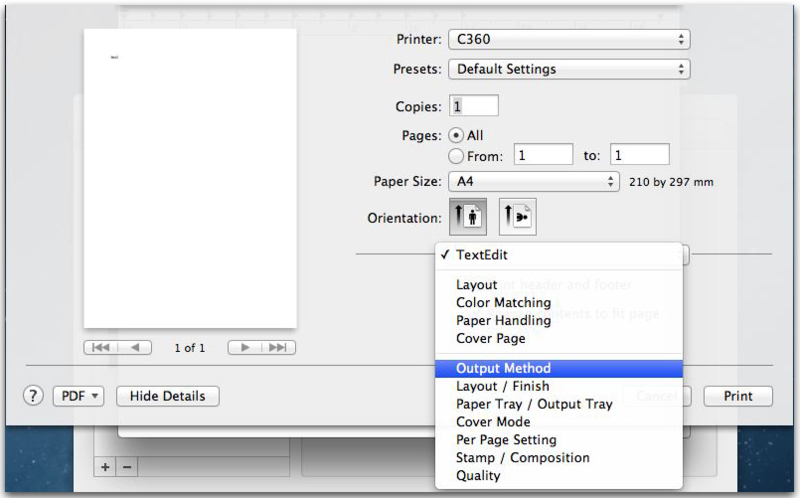 Click OK.
Now click Print so that the settings are saved. Some Adobe products (e.g. 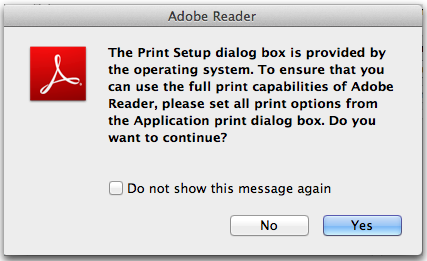 Reader, Illustrator) use their own print dialogue that will ignore any authentication settings saved in the printer. This means that the user’s job cannot be authenticated at the printer and will be deleted if ‘Print Without Authentication’ is set to ‘Restrict’ on the printer. Now click Print and then Print again. It has also been discovered that Chrome web browser on OS 10.10 does the same thing. 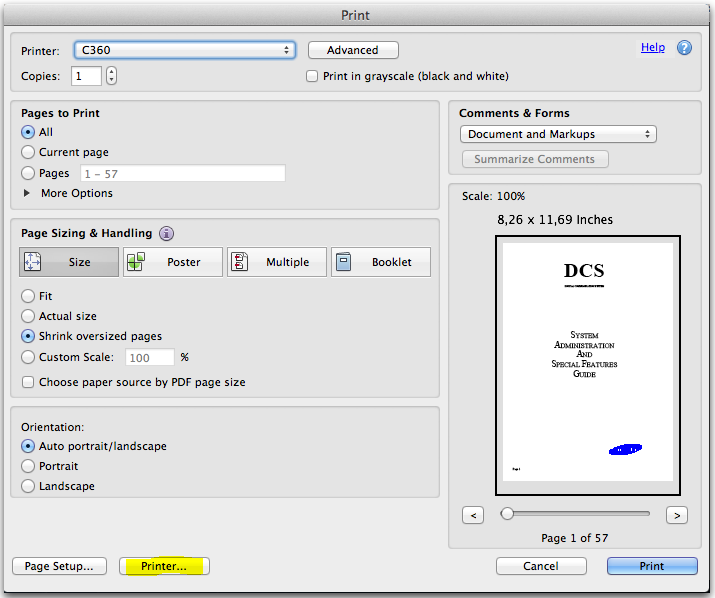 In the default print dialogue there is a link to ‘print using OS printer’. Click this to print successfully.